It is a week after the Chancellor’s latest Budget, the last one before Britain’s departure from the European Union. As well as the setting out future spending, it is also a chance for the government to appeal to voters. Following the speech, we tested 10 of the announcements using our Idea Express product to see which ideas are winners for the Chancellor and which he should have left as a first draft. 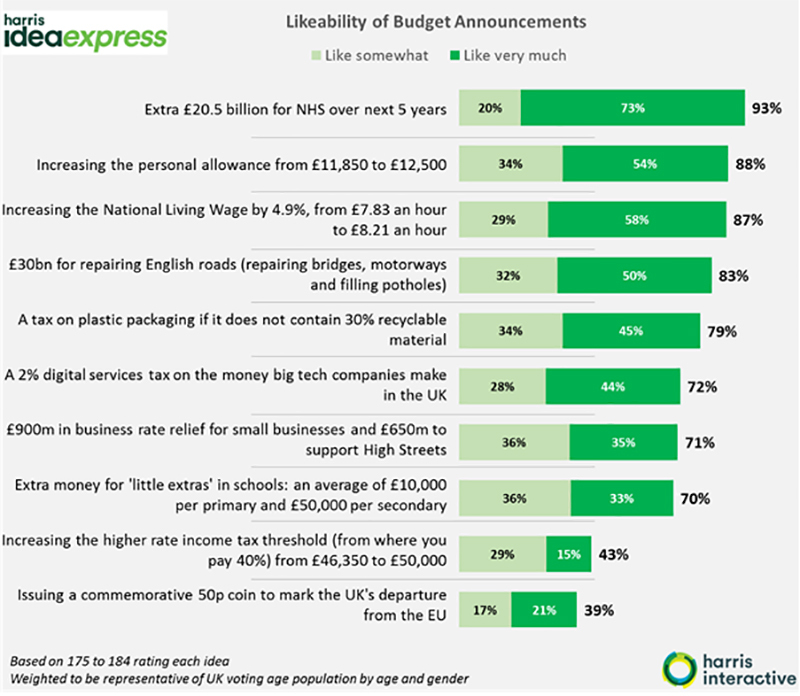 We found that additional funding for the NHS is the most liked idea with almost three quarters saying they like it very much and 93% stating they like it to some extent. The least liked idea however is the issuing of a commemorative 50p coin to mark the UK’s departure from the EU; indeed this idea is very polarising with just as many people who like it very much (21%) as dislike it very much (22%). However the results for believability suggest the Budget giveaway will not be such a quick win for the government. Additional NHS funding, the most liked idea, is also one of the least believed with just over half (55%) believing it. This compares with 79% believing the increase in the personal allowance, the most believed announcement. The research was conducted online on 30-31 October 2018. 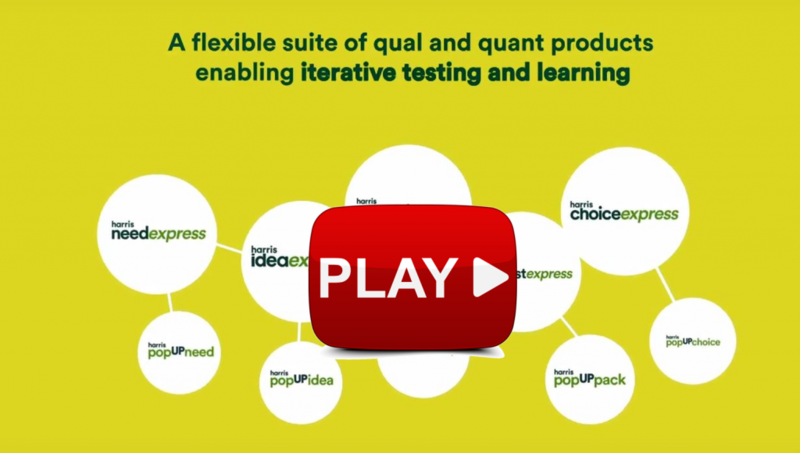 Idea Express is part of our agile suite of Express (quantitative) and Pop UP (qualitative) products that span the innovation cycle to deliver quality, quick and cost-effective insights.